Got a PC or Laptop repair or problem? Drop it in to us at our Repair Workshop or we can even Come to YOU! At PC Heart we repair all sorts of problems with broken computers. 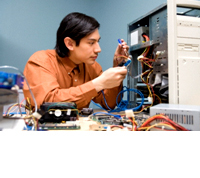 Based in Bushey, London - we specialise in the fixing and repairing of all home PC computers, Laptops & Macs. You can either drop your computer into the shop or alternatively we can come visit you at your home. If you’re computers stopped working or if it’s running slow, we can have it running just like new - in one quick visit to your home. Our PC Heart Home Callout service is the quickest, easiest way to sort out home computer worries! You get a dedicated engineer, who comes to your home and who will always go that extra mile to ensure that any issue is fully resolved. or bespoke PC builds, you may wish to visit us at our Office and Repair Workshop instead feel free to drop by and visit at any point. 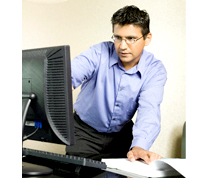 the resolution to your PC or Laptop Repair problem.